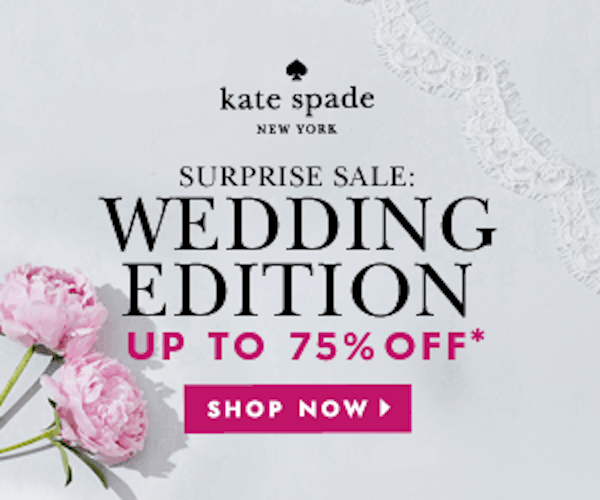 Wedding season is in full swing now that summer is here and for those currently in the throes of wedding planning, kate spade is making it a little sweeter with this amazing sale with deals up to 75% off! If you're purchasing two or more statement necklaces or clutches for your bridesmaids, they'll give you an additional 20% off! Don't wait - the sale ends July 17th at 11:59pm PDT.